It clouded over in my yard, so I’m writing this instead of fiddling with my telescope. Aren’t you lucky. Previously in our series we bought a telescope. Then we bought a magic video camera that can seemingly do the impossible. Clearly our dork hero should have been satisfied with this. But all was not quite perfect. Many modern mounts have mechanisms to compensate for this. 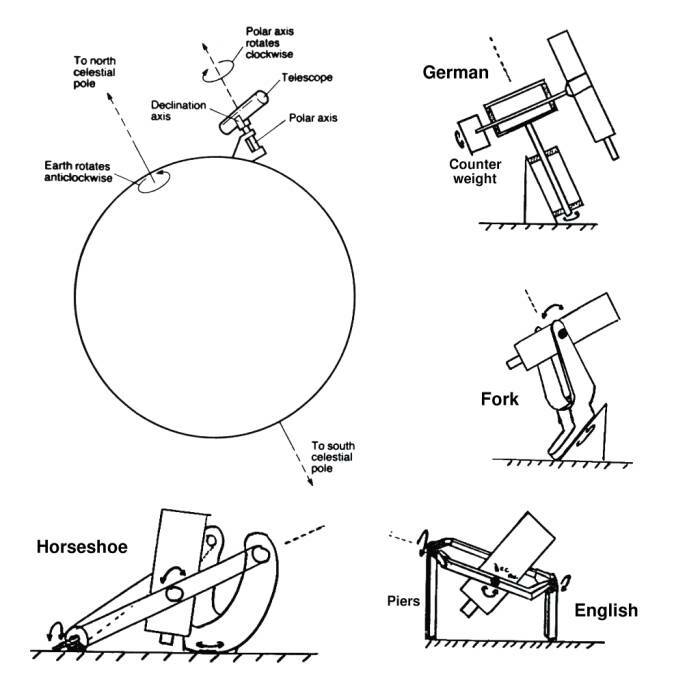 What you do is stick motors into the mount that slowly move the telescope in a direction which is exactly opposite to that of the Earth’s rotation. Then whatever you put in the eyepiece will just sit there and let you stare at it as the motion of the telescope exactly compensates for the motion of the Earth. Now, the mount I bought can perform this trick. It has two motors, one for the “altitude axis” (moves the scope up and down) and one for the “azimuth axis” (moves the scope left and right). By driving these motors just the right way, it can track an object pretty well for hours at a time. While this worked fairly well, there were a couple of small problems. The tripod was a bit shaky, especially when focussing the telescope at high power. Pointing at objects near zenith was always stressful because you are never sure if the telescope will clear the base. Finally, using the hand controller to move the mount in small motions could be frustrating sometimes. Because of the way the gears work, objects might not move even if you held the button down for a long time, and then they might leap off in random directions. You learned to cope with this. The axis of the mount that points at the pole is called the “polar” or “right ascension” axis. The axis that points north and south is called the “declination” axis. This is a reference to the celestial coordinate system which I won’t get into here. After some thought and consideration, I decided that polar alignment didn’t seem that much more complicated than the star alignment procedure that I was already performing with the little alt-az mount. So I examined the market for mounts in detail. 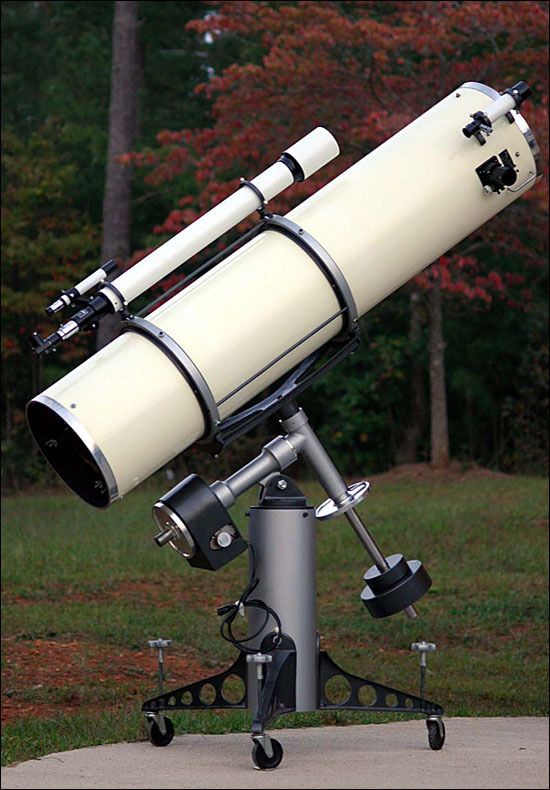 The most popular sort of equatorial mount by far is the so called “German Equatorial Mount” or GEM for short. A GEM puts the telescope on top of the two axes of rotation, with a counterweight on the other side. Like the huge Newtonian in the picture above. 1. How much does the mount weigh? 2. How much weight can the mount hold in a stable fashion? 3. How long and how smoothly does the mount track? 4. How good is the software that comes with the mount? 1. Cheap, light, and mechanically barely acceptable, but great software: Celestron CG5. This mount is made in China. If you look it up in Goggle you will find reams of material about how to rebuild it to be better. But, the Celestron hand controller is excellent. More on this later. 2. Medium expensive, heavier, better mechanics, worse software: Orion Sirius, or its bigger brother the Orion Atlas. 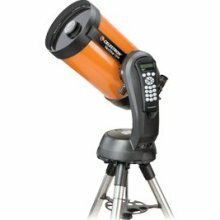 You can get the mechanics of the Atlas with the Celestron software by buying a Celestron CGEM. These mounts are actually made by the same Chinese company that now owns Celestron. Strangely, they have not unified their software platform. Also, these mounts weigh 30-40 pounds and are probably too heavy. iOptron also has a nice mount in this class. But it is fairly new, and you should never buy anything too new, especially where embedded software is involved. 3. Premium expensive artisanal American made: Losmandy. These mounts are well liked for their build quality and overall polish. But, the software is written by one guy in his garage in his spare time. Currently the entire line is crippled by the fact that the hardware that runs the current firmware platform is obsolete. So, the one guy has been frantically rebuilding the software platform in a grand version 2. But it won’t be ready for months, maybe a year. So the result is that you can now spend $2500 to $4000 on a great mount, and then wait a year for the software you need to use it to come out of beta. 4. Mechanically perfect, will just work out of the box, costs as much as a small car: AstroPhysics Mach 1. These cost ten times as much as the Celestron. As a result, everything mechanical is just better. It’s beautifully machined. It has easy to use knobs that are never sloppy. It’s ergonomic. It holds as much as a CGEM (say) while weighing a lot less. The tracking is up to an order of magnitude better. But the software is somewhat worse. In particular, the pointing and alignment code seems distinctly primitive compared to what Celestron does with their ten cent 16-bit embedded hand controller. This is sort of astounding when you think about it. What’s clearly going on here is that mounts have changed from being something that was predominantly mechanical to something that is a mix of gears, motors and software. But, the people who make mounts have a background primarily in mechanical engineering, not software. It boggles my mind that we can’t get an Astrophysics mount that runs the Celestron software. Because that would rule. So since I didn’t want to blow the entire college fund on a mount, I got the lightest one with the best software. I only need the mount to hold my relatively light telescope and track for relatively short periods of time (1 minute, maybe two on the outside). And, my tracking requirements are not that stringent. The Mallincam is not a high resolution device, so if I get a few fat stars on the TV screen I won’t mind much. I came close to getting the Sirius because I had seen it track very well with a load much larger than mine. But I ultimately didn’t because I wanted to stick with the Celestron software. It’s more important to me that the software in the hand controller be able to build a good pointing model with a minimum of fuss, and the Celestron stuff has proven that it can do so. Even better, the Celestron software can even help you polar align the mount by looking through the telescope rather than some crappy polar scope sitting in the RA axis. Every mount should be able to align itself this way. I don’t want to spend my nights trying to find polaris while on my hands and knees on the driveway. 1. Put the mount outside and hook it up to the battery. Point the RA axis roughly towards the north and set the latitude to roughly the altitude of Polaris. Don’t sweat this. Then turn the telescope so it is also pointed north, parallel to the RA axis. 2. Put in time and location info. 3. Start the star align. The telescope will suggest stars and actually move to the first one by itself! This is an improvement over the SE mount, where you had to point at the first star by yourself. 4. Center the first star in your eyepiece. Hit Enter then Align. 5. Repeat three or four times. Now the telescope can point at almost anything accurately. 6. Now hit “Polar Align” on the hand control. The telescope will point back at the last star you aligned on. It will think for a bit and then point to the spot in the sky that the star would be if the mount were correctly polar aligned. At this point you use the knobs on the mount head to move it in altitude and azimuth until you have recentered the star in your eyepiece. This is the most painful part of the process because the knobs on the CG-5 are not great. The altitude knobs in particular are awful. The only way to adjust the altitude down is to back out the front knob and let the mount fall down. Really, I’m not kidding. The knobs on the AstroPhysics would be ten times better. 7. When you are done with the knob dance, hit Align. You are now decently polar aligned, and you didn’t even have to crawl under the telescope to try and look through a crappy polar axis finder. At this point you may need to redo some of the pointing alignment (steps 3-5). But I didn’t have to my first time out. It took a little while to figure out the mechanical controls to get the mount polar aligned. But it wasn’t too bad. The Celestron polar alignment scheme is really nice IMHO. I think it should be required by law in all computer controlled EQ mounts. It’s also nice to have the scope track while you center alignment stars. 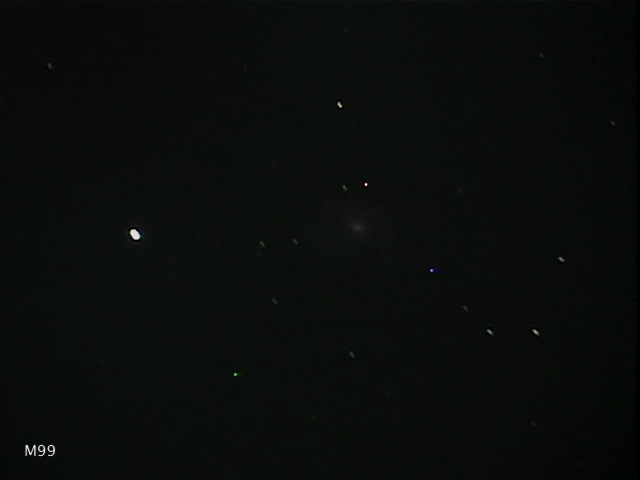 This will make it possible, I think, to do alignments with the video camera already in the telescope. Finally, damned if the thing didn’t track smoothly enough for about a minute when I was all done. I guess I don’t need to fear the complexity of the GEM, or those guys in the white coats any more. Maybe in a few years I’ll blow the college fund to get perfect tracking for five minutes at a time.